Chichester Harbour Area of Outstanding Natural Beauty is a special place of tranquillity in the crowded south of England. It is recognized nationally and internationally and is appreciated by many hundreds of thousands of visitors each year. This book, which includes previously unpublished memoirs and features famous figures from King Canute to P.G. Wodehouse, draws together the myriad threads that have given the harbour and its surroundings their unique character, telling an engrossing story that stretches far into the past, present and future. It encompasses topics as varied as geological and historical tumult, the harbour's vital importance as a refuge for threatened wildlife, the change from commercial port to centre for leisure pursuits, the impact of war and the threat from climate change. 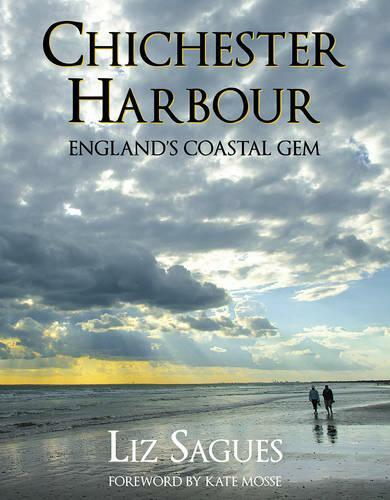 Liz Sagues brings to life the people who have contributed so much to Chichester Harbour, from the saintly Saxon cleric whose practical fishing skills ended a village famine to environmentally committed twenty-first-century farmers, and from a king's favourite mistress to Olympic medal-winning sailors. The book is for those who already love the harbour - and for the many more who, as they read on, will join them.